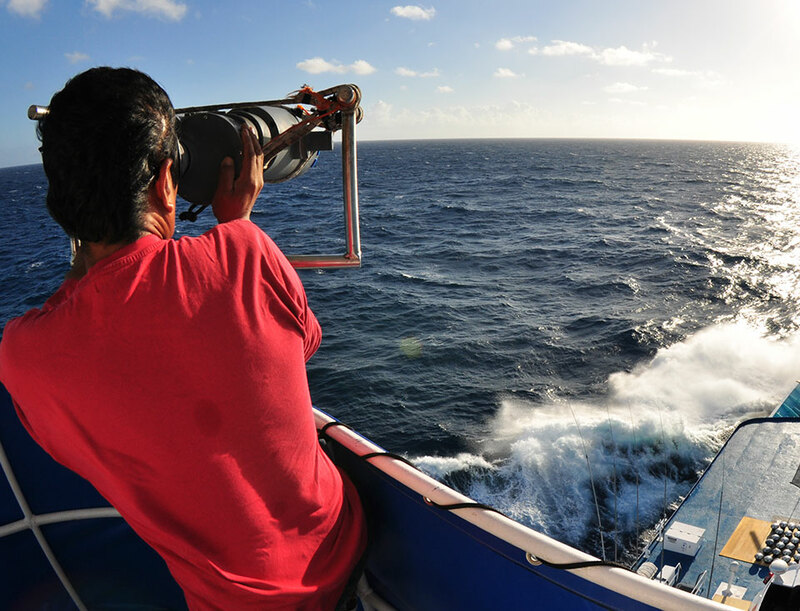 Crew member in the crows nest of Tri Marine’s Cape Finistere searching for free school, or FAD-free tuna. 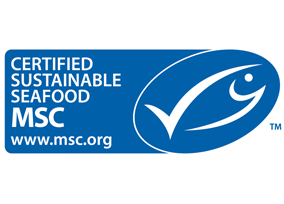 MSC certified sustainable skipjack, yellowfin, and albacore tuna caught by Tri Marine fleets and select suppliers. Seafood Watch Green Best Choice or Yellow Good Alternative rated skipjack, yellowfin, and albacore tuna caught by Tri Marine fleets and select suppliers, including pole and line and FAD-free purse seine. Green or Yellow rated sardines and squid harvested off California and Baja California by Tri Marine’s smaller scale purse seiners. Pole and line fishermen on NFD’s Soltai 105 doing it the old fashioned way in the Solomon Islands. In addition to supplying responsibly caught products, we try to bring other fisheries up to a level consistent with internally recognized sustainability standards. 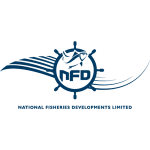 We are an active participant in the Eastern Pacific Tuna Purse Seine Fishery Improvement Project (FIP) and helped found the International Seafood Sustainability Foundation (ISSF). Both drive improvements toward MSC certifiable status. 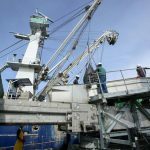 ISSF members like Tri Marine also require that their vessels and those of their suppliers follow industry best-practices for tuna fishing by complying with all ISSF conservation measures. 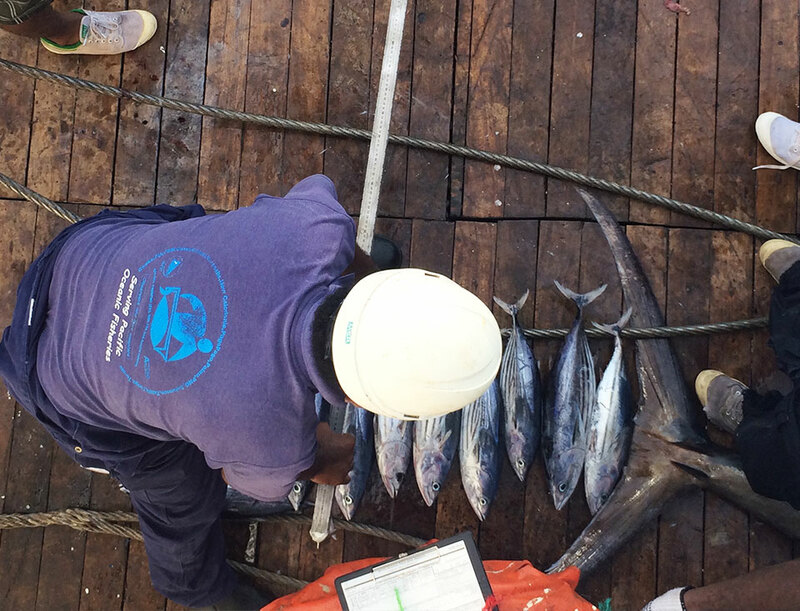 A fisheries observer onboard NFD’s Solomon Ruby collecting important size and species data. Working with the Secretariat of the Pacific Community (SPC) to test and institute digital logbooks for tuna fishing vessels. Providing scientists access to our purse seine vessels to develop by-catch mitigation measures. 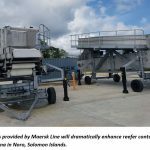 Partnering with SPC and the Forum Fisheries Agency (FFA) to develop electronic video monitoring on long liners for improved observer coverage. 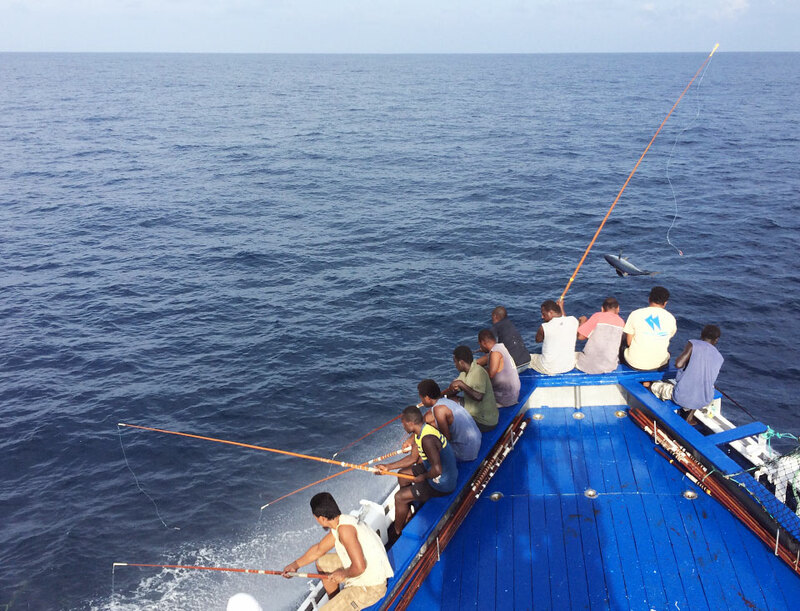 Conducting tuna tagging onboard fishing vessels to help scientists gather important data on tuna behavior. Voluntarily sharing confidential FAD data with SPC to better understand and manage FAD related impacts on bigeye tuna and other species. Based on the best available science each of the five major tuna RFMOs work to establish measures to avoid overfishing, rebuild depleted fish stocks, reduce impacts on sensitive species, and improve the health of the overall marine ecosystem. Tri Marine regularly attends RFMO meetings and engages with national and regional agencies including the US National Marine Fisheries Service, the Solomon Islands Ministry of Fisheries and Marine Resources, the Parties to the Nauru Agreement (PNA), Pacific Islands Forum Fisheries Agency (FFA), and the Western Pacific Regional Fishery Management Council.